If-clauses can cause you a headache in most languages. 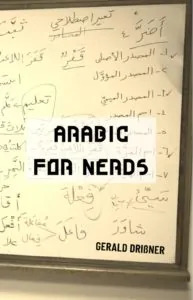 The fact that Arabic has – strictly speaking – only two tenses doesn’t make it easier. However, the mood of the verb can tell you more about the probability of a situation. Notice that مَجْزُوم basically means that the verb ends in a سُكُون – which also means that you have to watch out for weak letters as they might be elided. If you put an effort in your work, you’ll succeed in your live. إِنْ تَجْتَهِدْ فِي عَمَلِكَ تَنْجَحْ فِي حَياتِكَ. If/when you come to Egypt, you will find beautiful weather. مَتى تأتِ إِلَى مِصْرَ تَجِدْ جَوَّها جَمِيلاً. Notice that the weak letter in أتى/ يَأتي is elided. Whoever travels a lot will see dif­ferent people. مَنْ يُسافِرْ كَثيرًا يَرَ شُعُوبًا مُخْتَلِفةً. The weak letter in رَأَى/ يَرَى is elided. A remark: رَأَى is one of the very few pretty irregular verbs. You cannot conjugate it by using the common rules. The same is true for its IV-form أَفْعَلَ, which looks like أَرَى in its basic form (past tense). What you do for the good of the people will make you happy. مَهْما تُقَدِّمُوا مِن خَيْرٍ لِلنَّاسِ تُصْبِحُوا سَعْداءَ. Wherever you travel you will find friends. The way you treat friends the way they will treat you. Every worker who works dili­gently will find the fruits of his work. أَيُّ عامِلٍ يَعْمَلْ بِجِدٍّ يَلْقَ ثَمَرَةَ عَمَلِهِ. Notice that the weak letter in لَقِيَ/ يَلْقَى is elided. 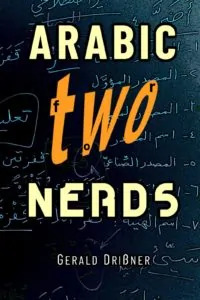 You will find more information about the specialities and meanings of the مَجْزُوم-mood in the book Arabic for Nerds. Are there if-clauses in which you don’t use the مَجْزُوم-mood? Yes, there are! We will check them out in another blog entry.